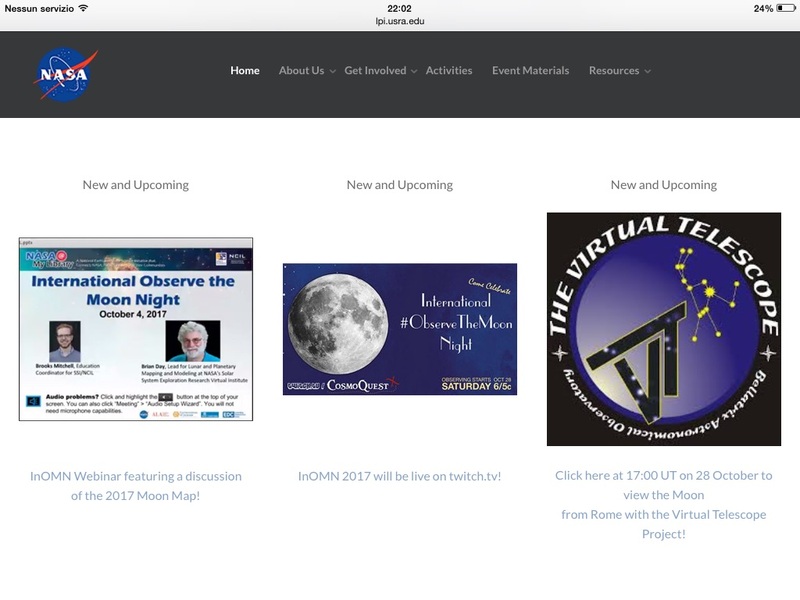 The International Observe the Moon Night (InOMN) 2017 was an amazing success at the Virtual Telescope Project. Our live event made possible to many thousands of people to celebrate the Moon, even if they were far from any physical venue. 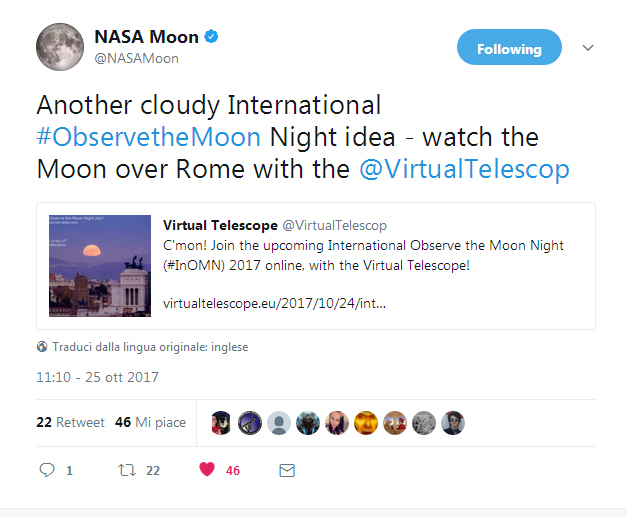 Even Nasa shared our live feed via their twitter account and it was also mentioned on the home page of the international initiative. The International Observe the Moon Night is an amazing opportunity to bring to the community what we know about our natural satellite, its science and its important presence in our culture worldwide. 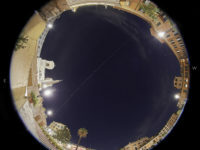 On its official website, the organizing team wrote: “International Observe the Moon Night (InOMN) is an annual worldwide public event that encourages observation, appreciation, and understanding of our Moon and its connection to NASA planetary science and exploration, as well as the cultural and personal connections we all have with Earth’s nearest neighbor”. 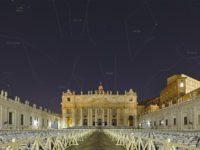 For this, since it was introduced in 2010, the Virtual Telescope joined this celebration several times, to help participating those wishing to join but living far from any physical venue or unable to reach it. 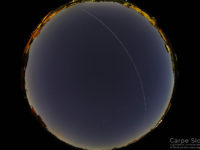 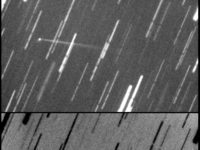 Technology makes this possible and we have been pioneering this opportunity since 2006, now being the leading facility sharing live, online, every astronomical event. 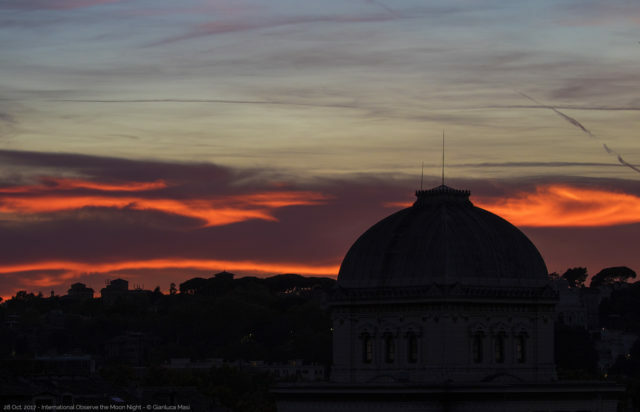 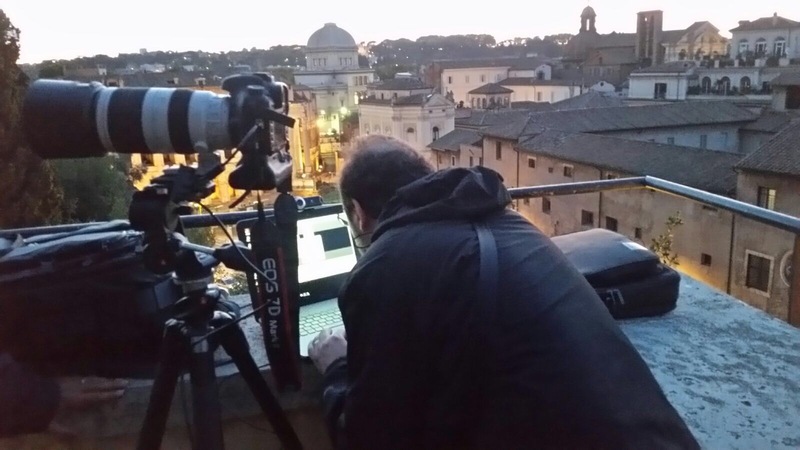 This year we wanted to bring to our audience the Moon captured from Rome, ad sunset, so we managed to use our portable setup, choosing a special location, close to the Capitoline Hill. We could enjoy a breath-taking sunset, as there were some clouds all around, painted by the setting Sun with unbelievable colors. 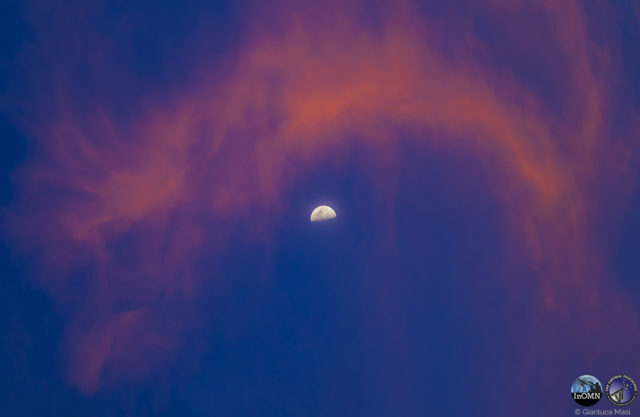 At some point, we were amazed by the clouds surrounding the Moon, because of their stunning hue. The atmosphere looked unreal, being amazingly beautiful. 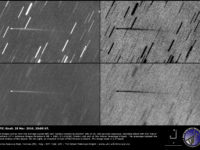 We could show the Moon in real time, telling about its formation and history, mentioning its many features and, hopefully, bringing to our audience the wonder and the beauty of our cosmic neighbor. 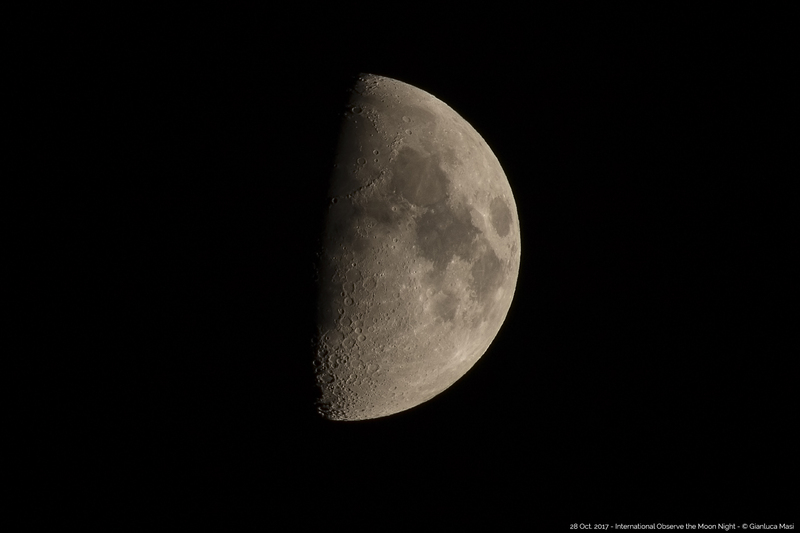 The weather was generally good, with some clouds gently covering the Moon from time to time. 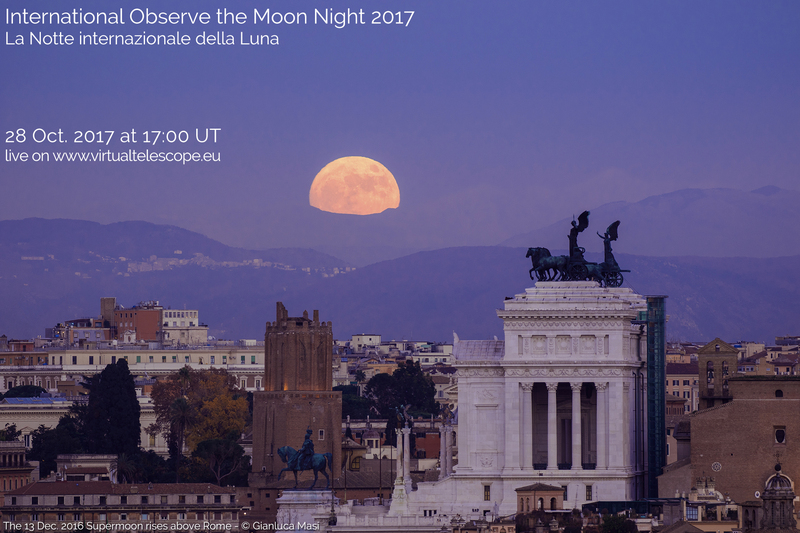 Below is the podcast coming for our live event, for those who missed the International Observe the Moon Night, but still want to have a look. 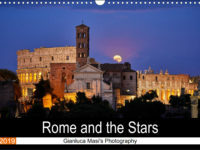 Stay tuned, more cosmic adventure are coming! 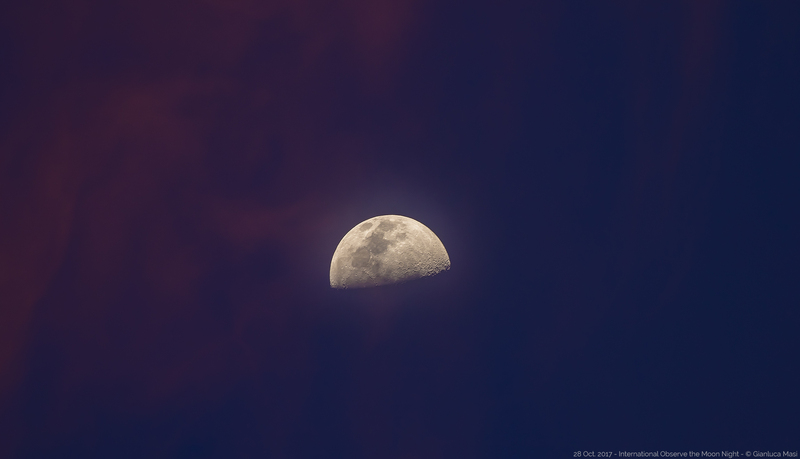 29 April 2014: Partial Solar Eclipse – live event, online!